Falls on ice and snow account for over 21,000 ER visits each winter in Ontario. There are a lot of anti-slip devices commercially available for people to wear over their footwear to improve traction on winter surfaces however, many of these products still don’t provide enough protection from slipping. To find out how the number, position and length of spikes changes the grip of these devices. This research will study optimal characteristics for ice cleats by reporting how changes in spike position and height on the heel affect walking patterns and slipping on different winter surfaces. The results from this study will help to develop general guidelines for improving future winter footwear and anti-slip devices to better protect pedestrians from slip-and-fall injuries. The same style of boot was tested without spikes as well as with two different spike positions and with two different spike heights. 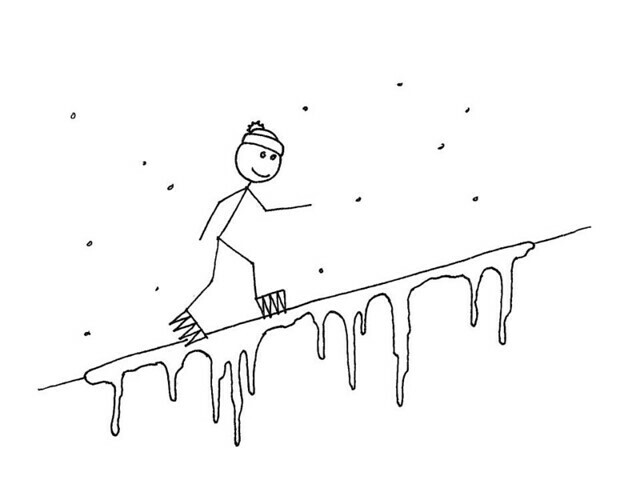 During testing, users walked on a level icy walkway and also up and down an icy ramp. The ice on these walkways was made wet to create the most slippery ice condition possible. Results are currently being processed to calculate how much friction was between the footwear and the walkway, the number of times a user slipped to find the best spike arrangements. Kathleen, Jennifer, Yue and Geoff.